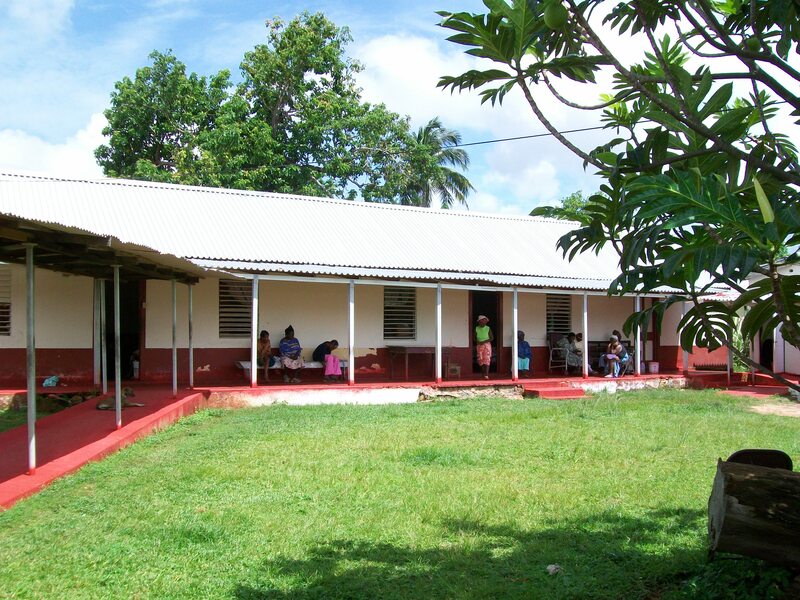 Two years ago I went to Jamaica on this same mission project with Son Servants and while there, as we always do, we went to the local infirmary. 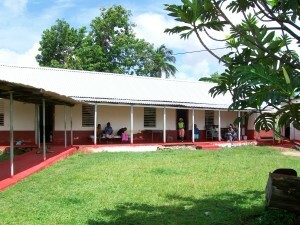 Jamaica is broken down into provinces like our states and each province has a state-run infirmary. From what I understand, the infirmary in Manchester (where we work) ranks low in quality compared to others. Now just so you understand, the infirmaries are not a place people go to heal – they are where people wind up who cannot take care of themselves and have no family or friends to care for them. Many are mentally handicapped – some very much so – and others suffer from physical disabilities that make living alone impossible. A few are very rarely even out of their bed. But for all of them, this is most probably their last stop before returning to their Creator. Son Servants visits the infirmary every year, partly to do minor work projects, but mainly to visit with the residents – many of whom never have visitors. So much of our lives in the U.S. are wrapped up in the acquiring of stuff. The ads on TV tell us we need more stuff, better stuff, newer stuff. We measure our success by the amount and quality of our stuff. we build houses to hold all our stuff and build fences to protect our stuff and lock it away so no one can steal our stuff. By the time we are in our prime, we have so much stuff that we spend our time worrying about our stuff and not focusing on what’s important – people, and the grace of God that he rains down on us every day. There are people in our families, living on our streets, going to our churches that are much more important than any of our stuff, and we ignore them because our focus is on stuff – the stuff we have and the stuff we want. The visual I have in my head is of the person walking out of a store with so many packages they can’t hardly hold all of them, piled so high they can’t see where they are walking. In essence, that is each of us, and we hold all our stuff close so we don’t loose it or have it taken from us. Our hands are so full we couldn’t possibly hold one more thing. Here’s the problem: with our hands so full, we can’t possibly reach out for the grace of God. We can’t grasp the peace He wants each of to own in our lives. We can’t hold those around us who need our love. In order to truly enjoy the abundance of the One who created us, we must be willing to let go of all that stuff and trust Him to give us what we need. We need to re-prioritize what is really important and know that everything else is just… stuff.